Nowadays, more and more people are attempt to convert images to videos for various purpose. However, it can be easily realized if you have no an effective way. Some experienced users may try to follow some commands, as I saw on some forum. However, if you want to convert your PNG images to Video, mostly in MP4 format, but you have no any other experiences or skills, the best choice is to reply on some convenient tools. 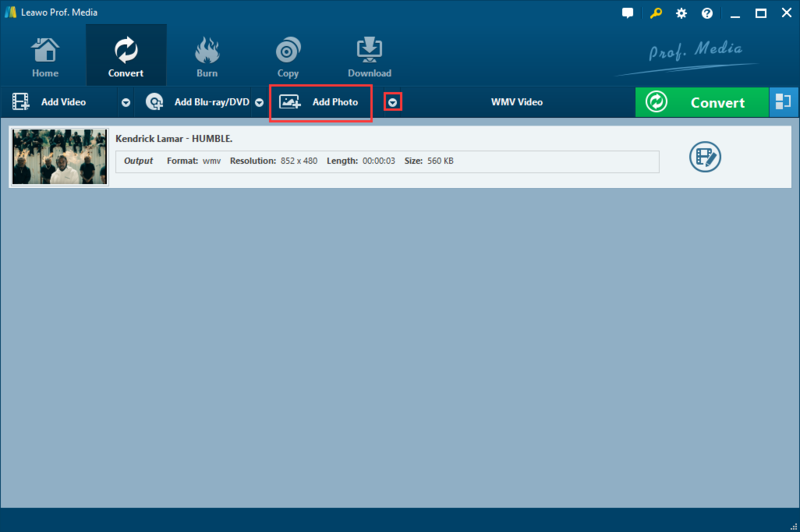 Here in this post, I would like to share some effective solutions with you on how to convert PNG to MP4. PNG, short for “Portable Network Graphics”, is a raster graphics file format that supports lossless data compression. And it is designed for transferring images on the Internet. The PNG files in our daily life are nearly always use file extension PNG or png. It is really common and used frequently for images. And MP4, is more familiar to us. As wiki says, MP4 is a digital multimedia container format most commonly used to store video and audio, but it can also be used to store other data such as subtitles and still images. It has the widest range of compatibility with devices and programs. 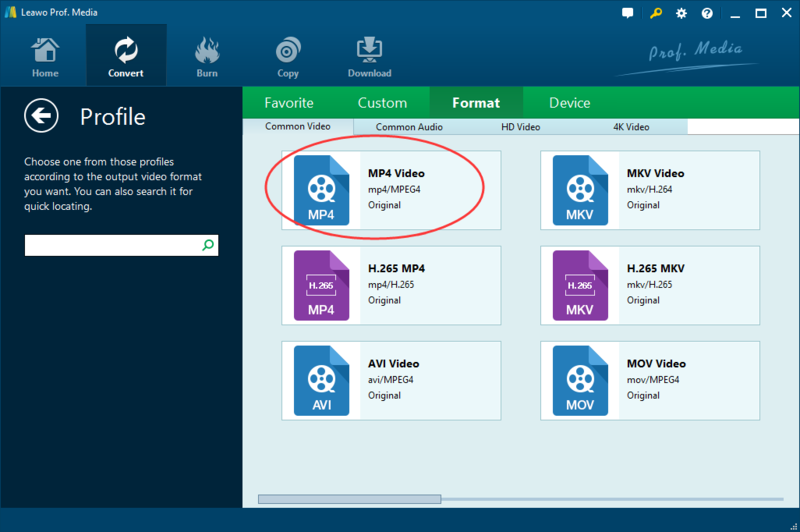 Therefore, lots of people who want to convert image to video, will mostly choose MP4 format. By converting images to MP4 videos, they can share them on YouTube or other SNS with friends for a better experience. Therefore, it is necessary to convert PNG to MP4. Below are the two effective ways for you to convert PNG to MP4 video. Speaking of converting PNG to MP4, most people may first want to try a way as convenient as possible. PNG to MP4 converter online is a choice for you to try. It is free and you don’t have to download any other software or APPs. There are lots of PNG to MP4 converters online, such as onlinevideoconverter.com, online-convert.com, convertfiles.com, office-converter.com, zamzar.com and so on. 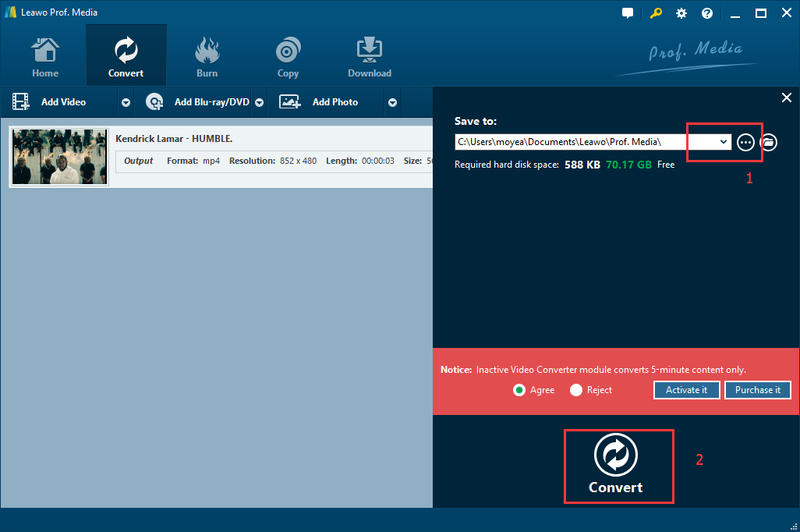 Here I would like to take office-converter.com as an example to show simple steps. Step 4. Click “Start Convert” button to start converting. Step 5. After finishing the conversion, click “Download” button to download the converted MP4 files. Although PNG to MP4 online converter is convenient to use, it has some shortcomings that you should know. For example, you need to spend a long time to upload your source files. The process of conversion might also spend lots of time. And you need to download the converted MP4 files additionally. In this case, most people tend to try other more convenient and effective programs or software to help to realize automatically. Leawo Video Converter is one of the best PNG to MP4 Converter. It provides powerful capabilities to convert PNG to MP4 in high speed without quality loss. Besides, it can convert videos and audios between all popular formats like AVI, MP4, MOV, MP3, AAC, FLAC, etc. Its rich editing functions are also attractive. In short, it is better choice for you to convert PNG to MP4 if you are tired of online converters. 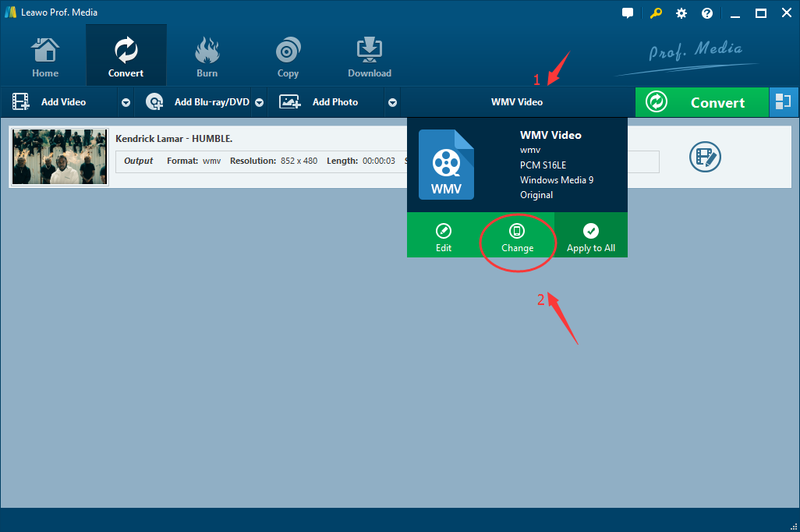 Just download and install Leawo Video Converter quickly on your computer and then follow the simple steps below. Step 1. Add your desired PNG photo to the program. Launch Leawo Video Converter, and then click “Add Photo” button to add your desired PNG photo into the program. Or you can choose to add photo folder by clicking the drop down arrow on the right side. Step 2. Open profile interface for ready to choose output format. Click the icon on the left of big green “Convert” button to pop up a window, here you can click “Change” button to enter the profile interface. Step 3. Choose MP4 as output format. On the Profile page, you can choose MP4 Video from the “Common Video” option under “Format” tab. And then return to the previous page. Step 4. Set output directory and begin to convert. Click the big green “Convert” button at the top-right corner, set your desired output directory and then click the “Convert” button at the bottom to start converting PNG to MP4. Just after a few seconds, your PNG files can be converted to MP4 successfully. Then you can enjoy them anytime and anywhere. 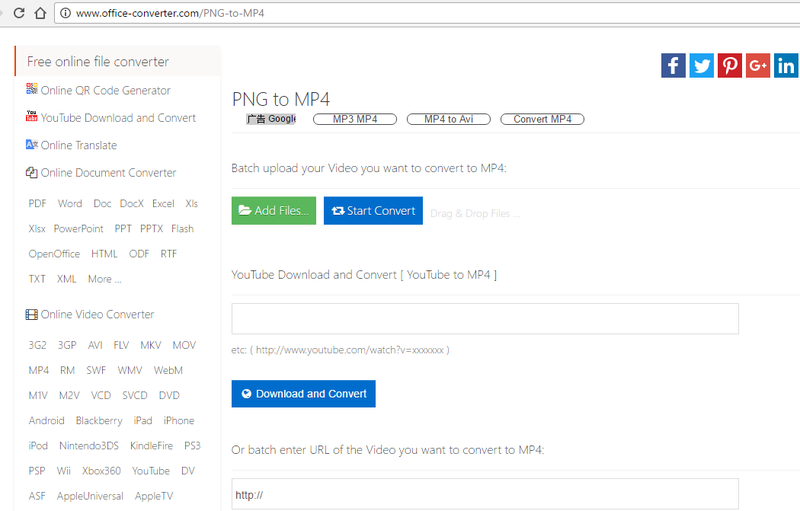 As mentioned above, both PNG to MP4 converter online and Leawo Video Converter are able to convert PNG to MP4. But I think Leawo Video Converter is better since its video conversion can be processed offline. And it convert videos just in several minutes. And it doesn’t need video file unloading and downloading. You could get the converted files without quality loss. Therefore, Leawo Video Converter is highly recommended to use.